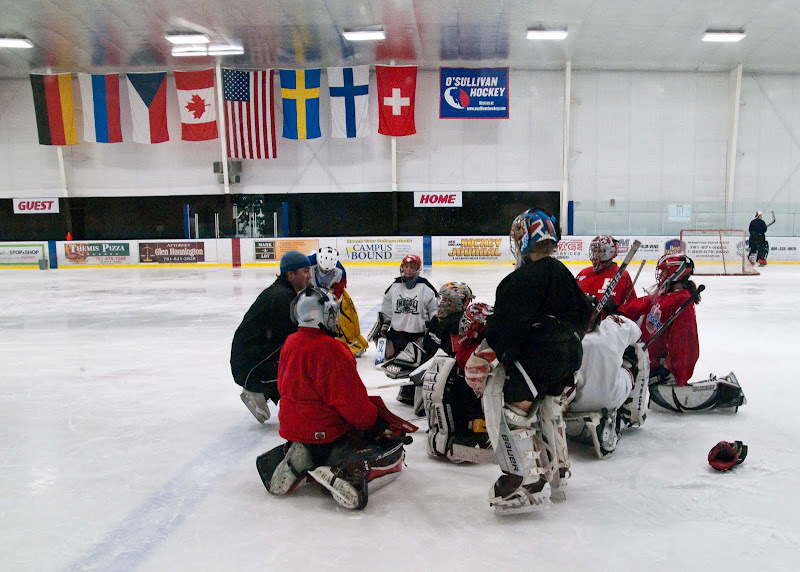 We know it's called a "gaggle" of geese, a "school" of fish, an "army" of ants, a "clutch" of chicks, a "mob" of kangaroos, a "lounge" of lizards, even a "bloat" of hippopotami... but what do you call a group of hockey goalies? A "block"? A "crease"? A "stench"? A stench. Definitely a stench. Especially if it is a bunch of girl goalies. "A thug of hockey players". Believe you Rupe: This is the correct term. Girls or otherwise. A bunch of kids. With skates.